having a workspace that i enjoy makes it much more bearable when i have to put in long hours. if you work from home or spend your evenings online having a functional office is the key to being more productive. 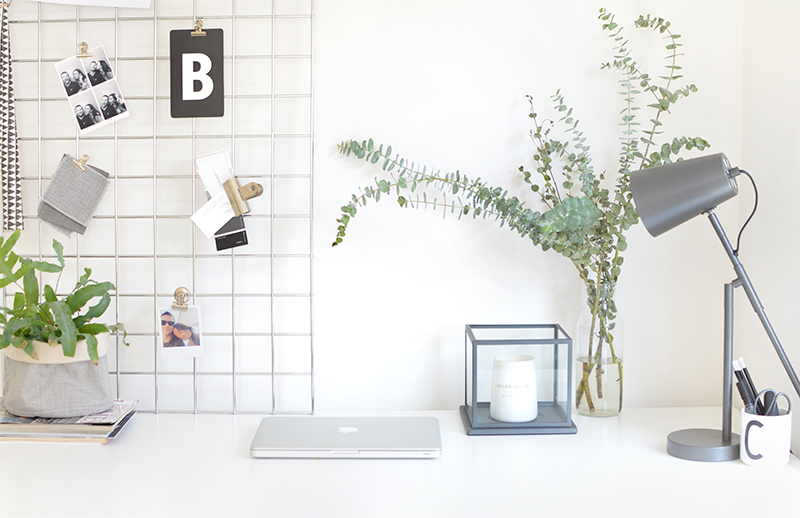 scandinavian styling really suits home offices, their more minimal approach looks fresh and clean with the added bonus of keeping things organised and tidy. personally i'm far more productive when i keep clutter at bay, following a few rules to simplify my desk works miracles! keep only what you need on your desk. i have a huge collection of stationery but having it all out at once would be a logistical nightmare. keep the pens and smaller items needed daily in a pot or organiser and put everything else away. be ruthless and invest in storage boxes or baskets to store things neatly out of sight. i keep all my camera equipment, hard drives, usb's and ugly cables in simple white ikea boxes until i need them. taking five minutes in the evening to put everything back in it's place pays off when you return to work the following day. scandi workspaces are very easy to style and a few key accessories will really unify the look, keeping to black, white or grey accessories is probably the most effective approach. this dark grey desk lamp* and glass display box* from sainsbury's compliment each other perfectly. an industrial memo board like mine keeps things neat but still fits that 'scandi' vibe. i love keeping my pens in design letters cups and these normann wall pockets are a great way to store desk supplies too! - keep a happy balance. you don't want to create a space that is so sparse it's uninviting. a minimal approach to styling doesn't mean removing everything, it's just being more selective. you can have prints and personal items in the space just think about how to style them- would they look better framed above your desk? or could you pin them to a memo board? 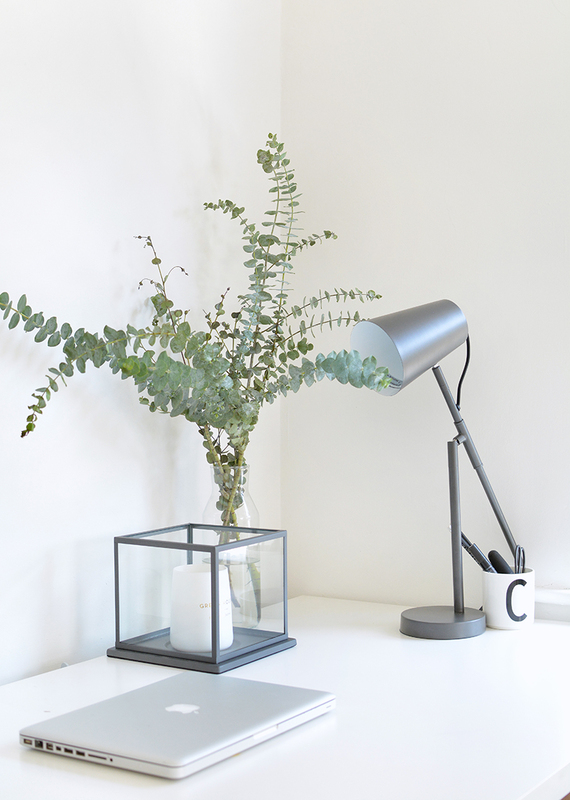 i don't need 5 types of paperclips on my desk but i do need foliage, whether it's a plant of some eucalyptus in a glass vase! a scented candle will create a nice inviting atmosphere without cluttering a desk. play around until you reach a happy medium! i hope this has given you a few ideas! 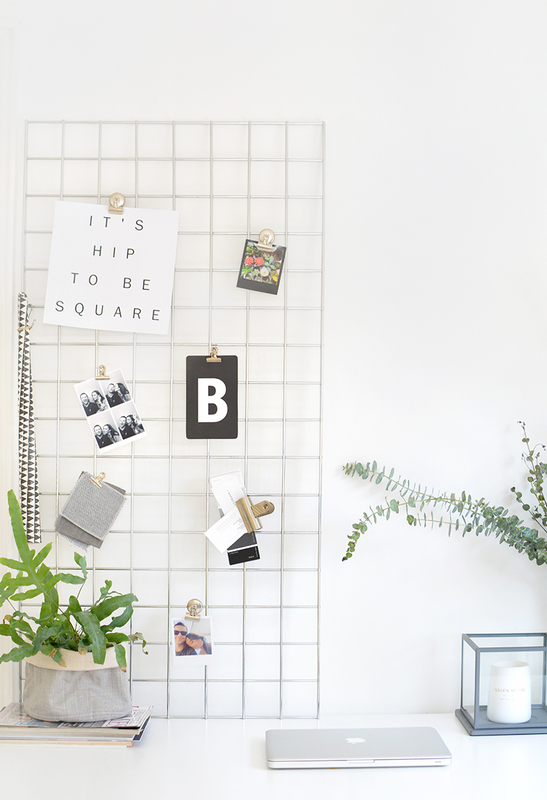 are you a fan of scandi style offices too? This looks simply amazing, thank you for those tips! Love your desk! I'm definitely using these tips to fix up my messy desk! I definitely need to give my desk a clean, mine is always cluttered and doesn't look great. How lovely is your desk space?? I need to declutter mine.